Mix rava and yogurt in a mixing bowl. Cover it and Let it rest for 30-40 minutes. Add onion, green chilies, carom seeds, cilantro and salt to taste. Mix this really well. Add little water if required. It should have consistency like a dough. Heat the pan and add 1 tsp oil in it. Spread oil all over the pan. Take a medium sized ball and spread it directly on pan. Use few drops of water to spread thalipeeth. Cover the pan and let it cook for 2-3 minutes. Turn thalipeeth on other side and roast for 1-2 minutes. Serve hot with pickle or tomato ketchup. 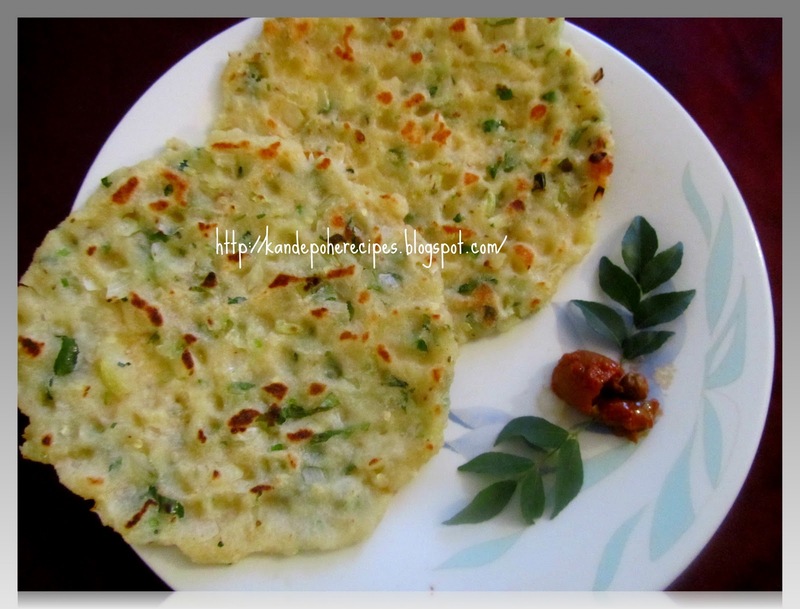 Super tempting thalipeeth,looks absolutely divine and inviting..
Never tried this, it looks so good, love the curry leaves in your picture, very pretty..
Quiet an interesting pancake !! looks delicious !! Very delicious yummy pancake..Bookmarking this!! 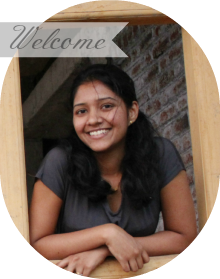 I am new to your blog... nice blog.. I will be trying this recipe tomorrow for my son's lunch box should be good.